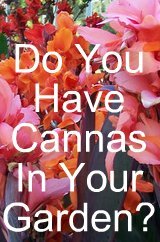 I have recently received a couple of inquiries regarding the plant that’s called canna Tropicanna Black. My correspondence from this canna question is as follows. 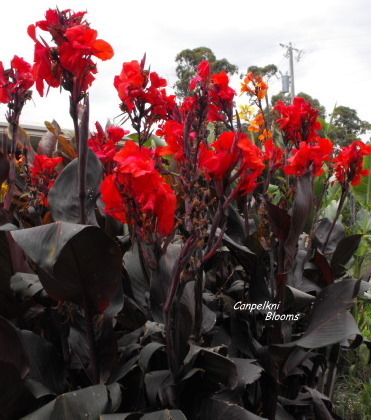 We were recommended to you by Bernard as we are looking for the Canna Tropicanna 'Black', however Bernard suggests it may be an old variety with a new name?Do you have this species, or know of who might have this one.If it is as Bernard suggests, would you be able to provide the old name? yes I have this canna Tropicanna Black, a friend bought me a pot a couple of years back, for me it grows to a height of 1.6 meters tall with broad foliage colored dark a brown/ burgundy tone, from a distance it does appear black, older foliage progress through to a dark green tone, flowers are a scarlet red with some finer overlaid blotching of scarlet seen over the flowering season and they are large and floppy like most of the Italian or orchid flowering types, what I have of the plant Tropicana Black is a non seed bearing cultivar. 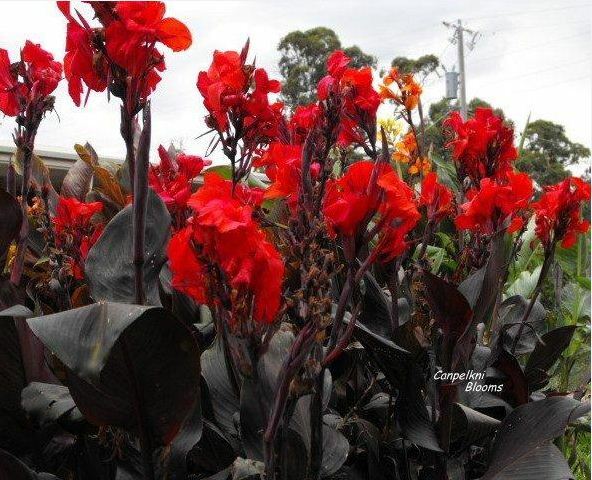 I have had this on trial for two years planted along side five other close resembling varieties which consisted of two plants from different sources called canna Feuerzauber, canna Australia, canna Prince of Burgundy and canna Red King Humbert which we know is a sport, the plant I placed on trial was a sport I removed myself from Yellow King Humbert. All the cannas mentioned above excluding canna Australia appeared identical in foliage colours and margins on both old and new growth, leaf structure, stem colourings and form/structure, height, branching form and numbers and surprisingly enough all their flowers buds and petals behaved the same, they all showed some finer overlaid blotching of scarlet and have a notch at the base of the labellum and all were not seed producers. Plants were planted in a row with equal full sun and equally mulched and watered to get them going. The end result shows that canna Tropicanna Black, both strain's of Feuerzauber and Prince of Burgundy all appear identical to the sport Red King Humbert in all above ground growth activity, will have to dig and compare rhizome growth and colouring for a final result, which will probably result in some name changing and updating, confusing isn’t it, it must be remembered it’s all too easy to find a different plant or sport and to put a different name on it whilst thinking it is a new cultivar. I don’t get to the shops much and from what I know yes Tropicanna –Phasion, Tropicanna Gold and the recent Tropicanna Black are the only three in this series.